Caught red-handed with an ice cream cone and a double one at that. They had no Cups! 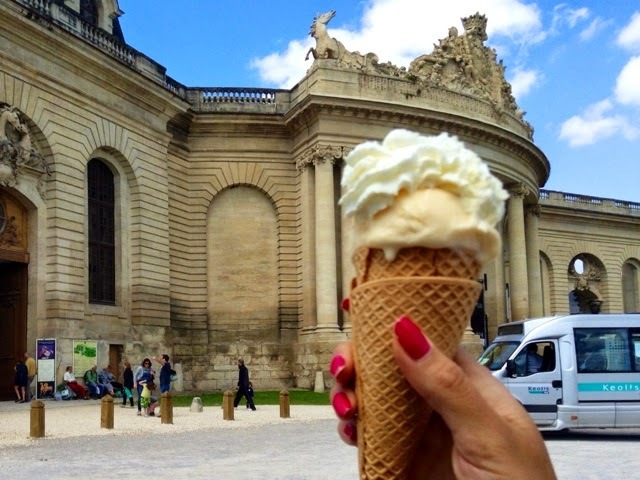 Shocking really, but pure Chantilly whipped cream on home-made(fait maison) melon ice cream can not be passed up on a gorgeously sunny day at Chateau de Chantilly right? Go to Gare du Nord. 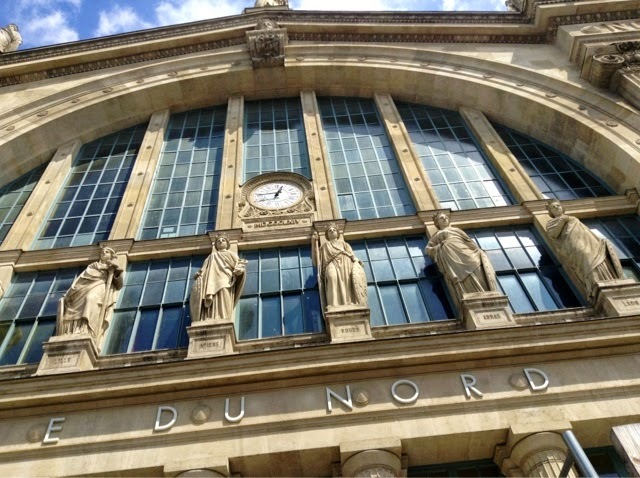 Then try to find the special train to Picardie. It will be upstairs in the main hall for the Grands Lignes. 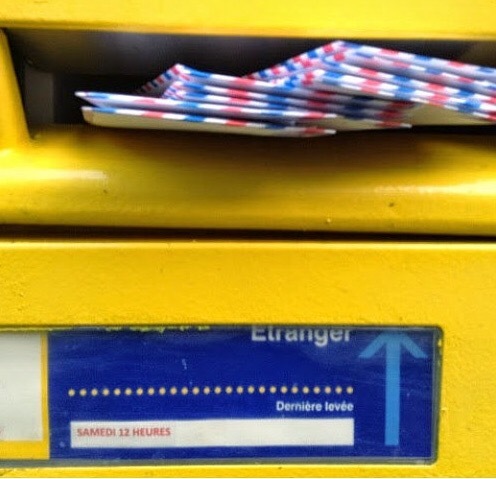 Do not bother with the RER - double the time and complicated. 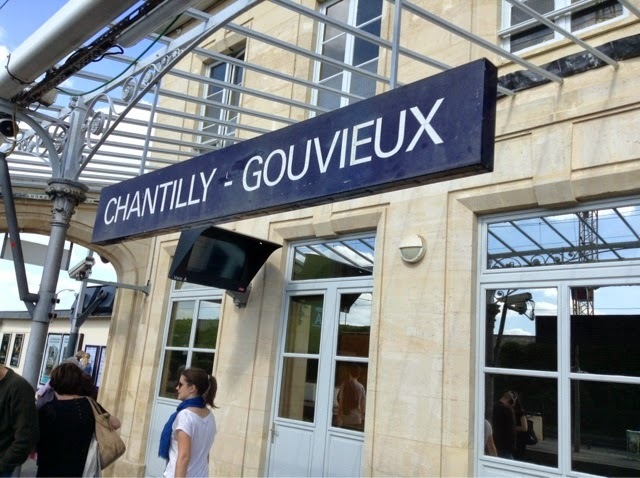 Chantilly is the second stop and takes around 25 minutes (costs about 8,50 euros). There is a shuttle bus in the bus parking lot nearby. Follow the crowds. 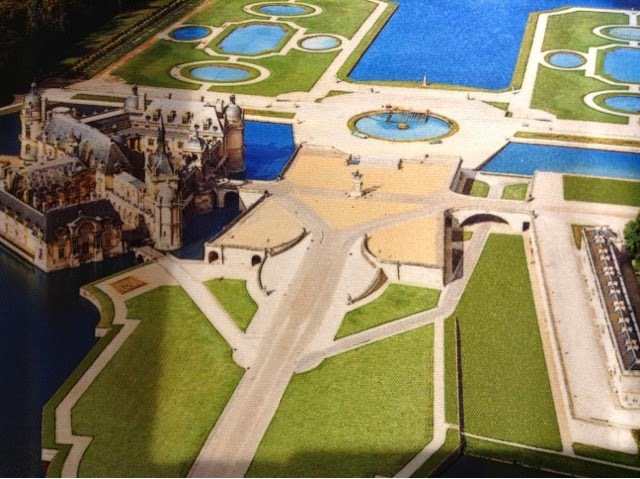 Why didn't I buy this divine mouse pad with an overview of the chateau? 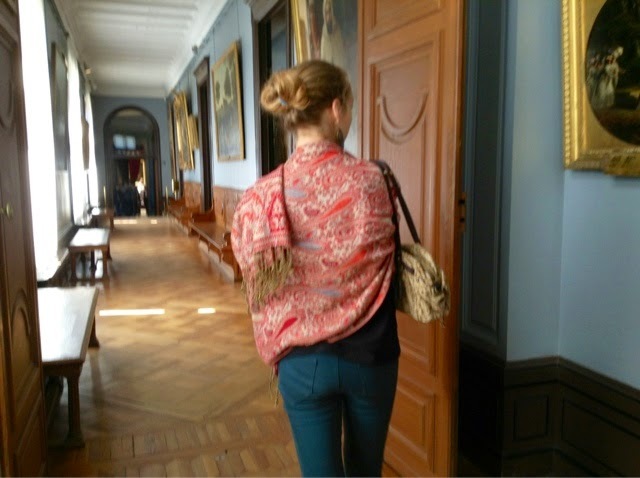 One can go for a quiet contemplative visit at Chantilly. 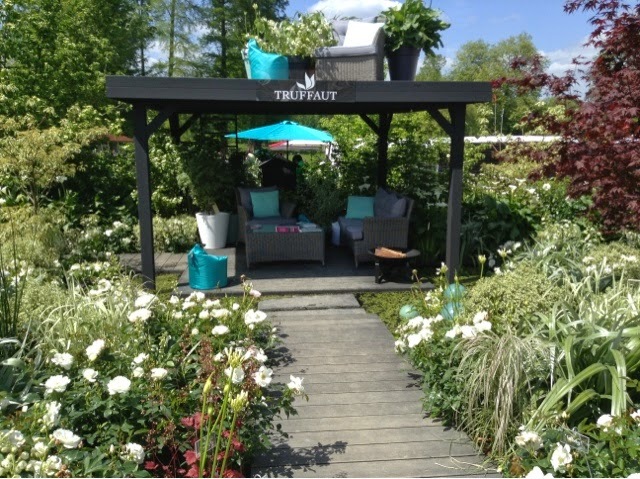 Or attend the 3-day huge gardening event, Les Journees des Plantes de Courson a Chantilly. 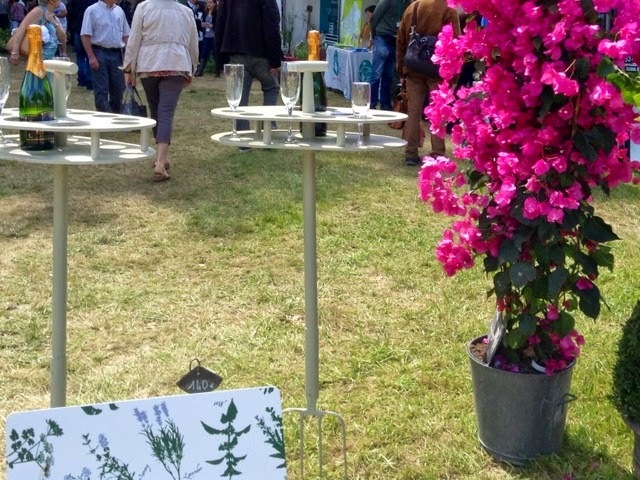 For someone who does not have a 'Green thumb' I go to lots of gardening events in France. 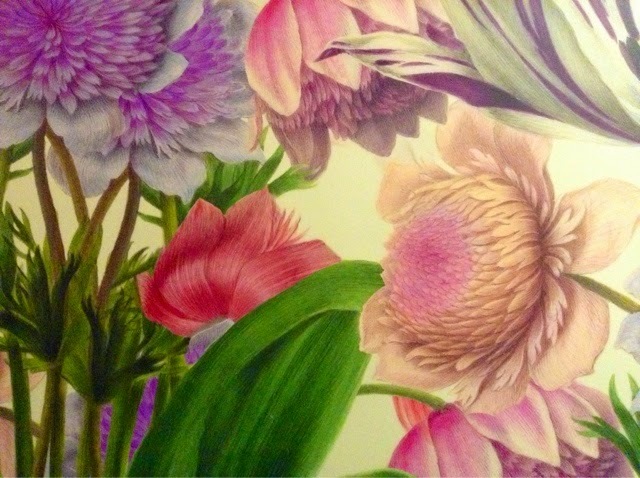 But they are spectacularly beautiful. 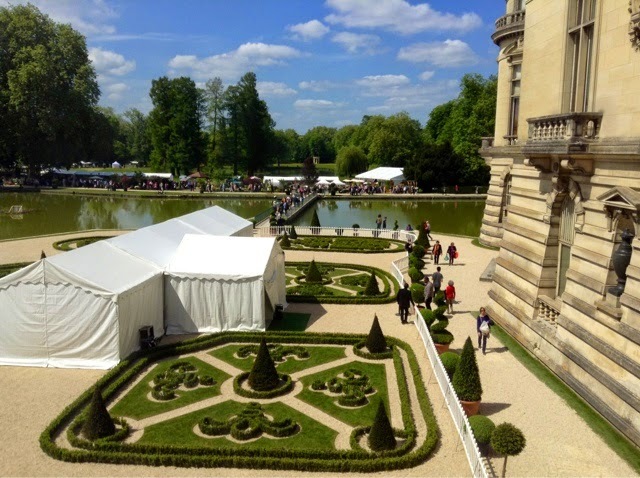 Has anyone been to Domaine de Chaumont-sur-Loire Festival International des Jardins? I'm thinking of going.. 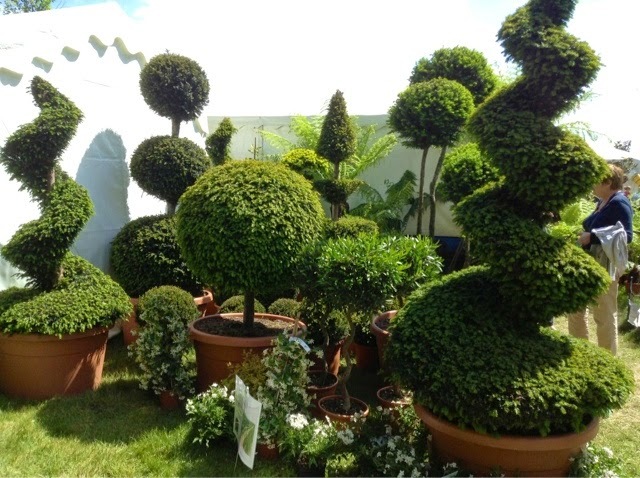 I would love to paint these shaped hedges. And I definitely need Champagne tables made from pitchforks too. Who doesn't? 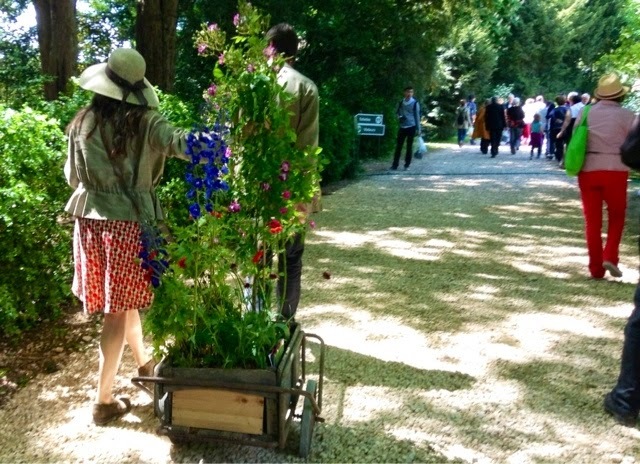 Attendees were carting off loads of gorgeous plants. Love this event description: Pour perpétuer la passion du jardin et de la diversité végétale. On inside the chateau surrounded by lakes. I don't think I've visited since 2008. The theme of Chantilly is La Chasse. 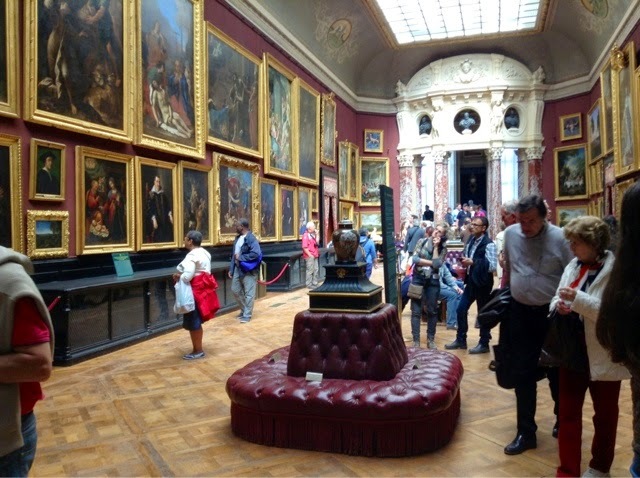 The world famous art collection belonging to the Prince de Condes is nothing to sniff at either. Crowded as the event was, there are still many rooms to explore in peace, You can easily imagine yourself a princess-in-residence at Chantilly. Views out the windows are enthralling. I went to Chantilly with Solli, who is one of these specks on the grounds. She wanted to find the 'hamlet' with animals and I went for the art. 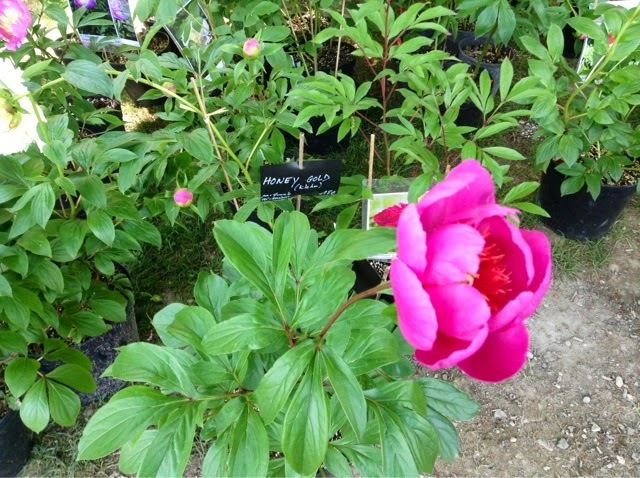 There were certainly plenty of peonies on offer in the tents. 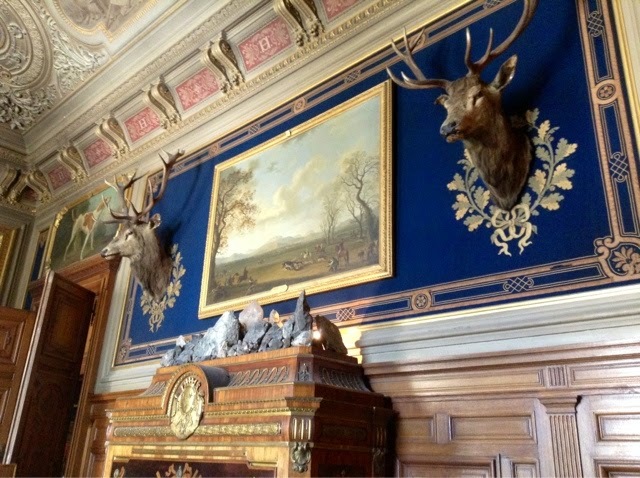 You can see more of my chateau pictures on Flickr. 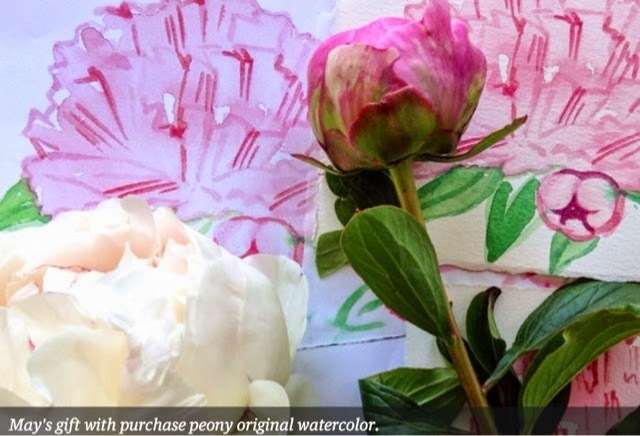 And you can still get a peony watercolor for your own on Etsy by subscribing. It looks so magnificent- but then much of France looks magnificent. I'd love to take that library home. It looks a beautiful day too. We had perfect weather. So lucky! It does look like a perfect day..it was here yesterday and again today..love the shot of the couple w/ their plants..she in her perfect hat..dress..hair..her pale legs..shoes..just a lovely little feeling there! Great photos! 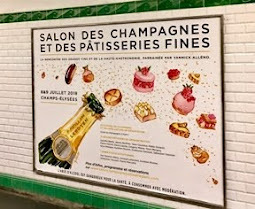 I will have to put this on my list when next visiting Paris. Thanks for the directions by train. The other trains had track work going on. We would have to get off and take a bus and get back on..a mess. Most people came by car. They were taking home big plants! I thought it was Versailles at first...wow...gorgeous! Le notre did lay out the gardens but the rest different architects. Looking forward to 2 weeks in France this summer! Thanks for letting us live vicariously through your posts! Thank you for always educating us with your travels. I had no idea this was so close to Paris. Definitely a must see too one day. An amazing place, Carol. The chateau grounds are stunning, but I think that the interior shots are better. 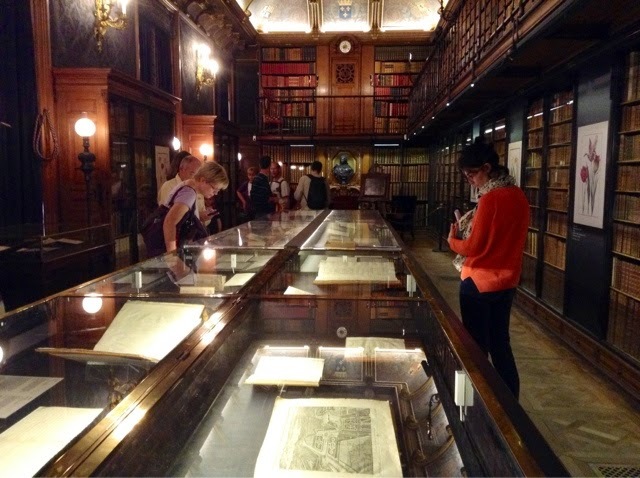 Absolutely amazing photos of the library and the paintings! Beautiful spaces inside and out. Except the girl with the paisley shawl. 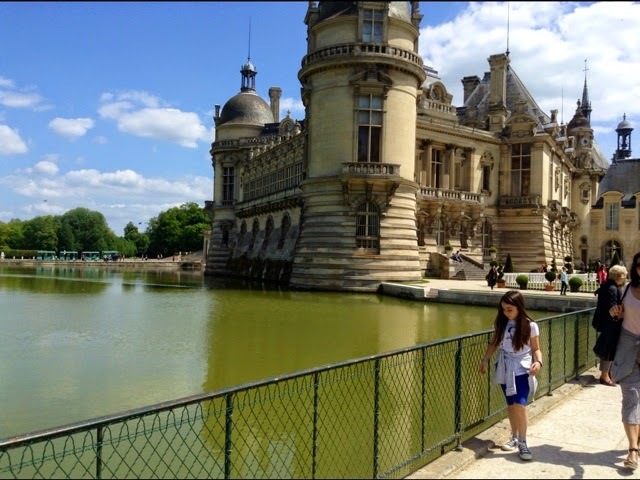 I want to go back to chantilly!! 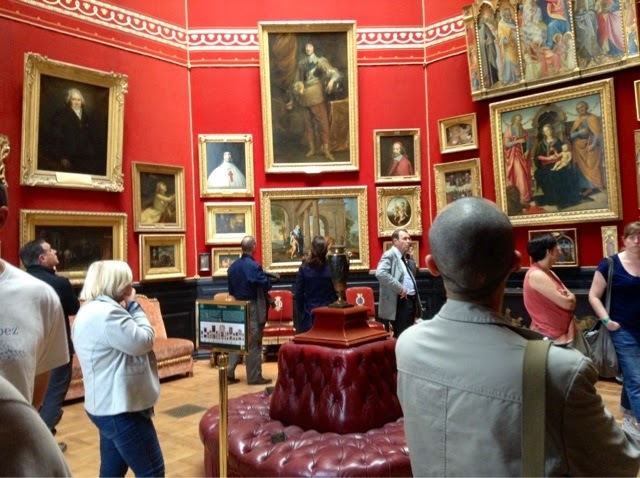 To see the paintings. I love this place and it has been a while since we've been - will have to take note for next year with this special gardening event. 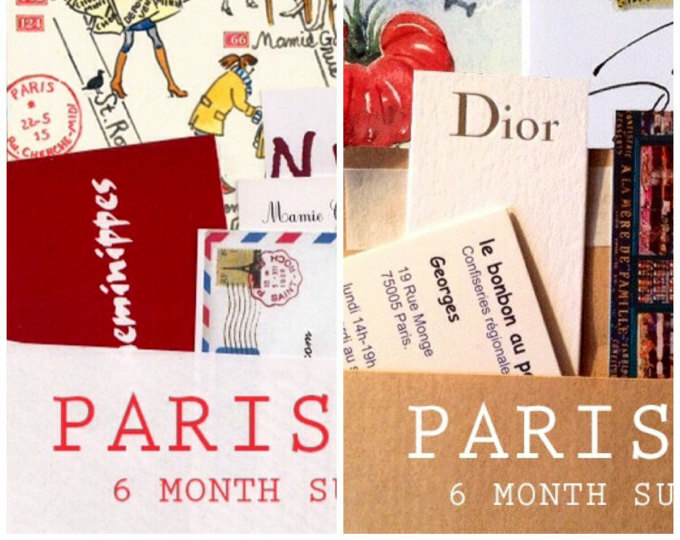 Looking forward to seeing you at the Teatime in Paris event tomorrow! I can't wait for your tea party! Chantilly surely does look like a fine place to visit on such a glorious spring day, Carol. Thank you for the Domaine link. 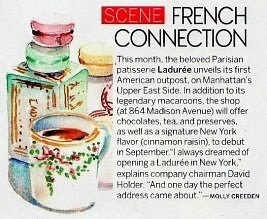 It was good to learn a bit more about the place, once your beautiful post got me interested.... Chantilly on ice cream certainly grabbed my attention. 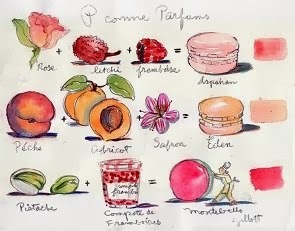 We well remember our tour of the chateau and grounds a few years ago - a mouth-watering experience. 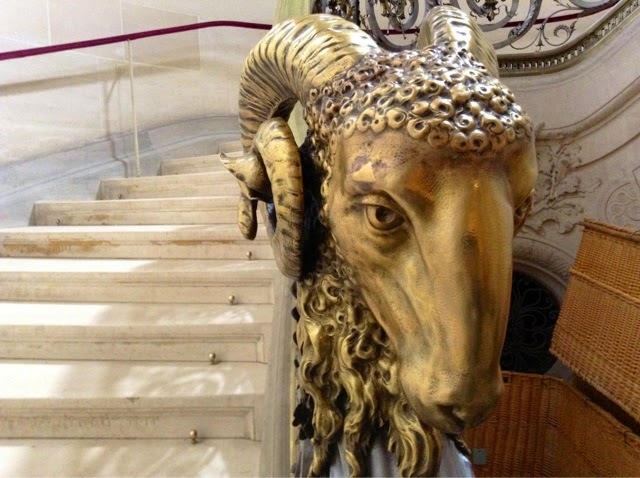 So much beauty, history and opulence, every room and corridor had something to wonder at. 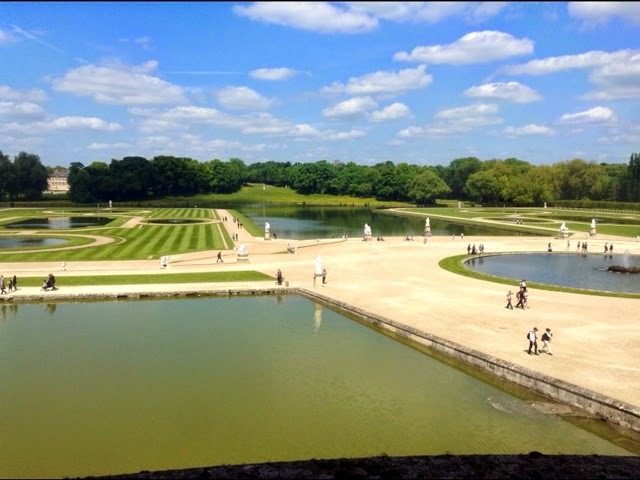 As for the grounds and lakes, so beautiful, and on such a huge scale! Ours was a leisurely tour, so no queueing - just ourselves and a couple of others. So enjoyable, so memorable! OMG! That hand looks so familiar!!!! Not only you had ice cream in a cone...but in TWO! Mon Dieu!!!!! 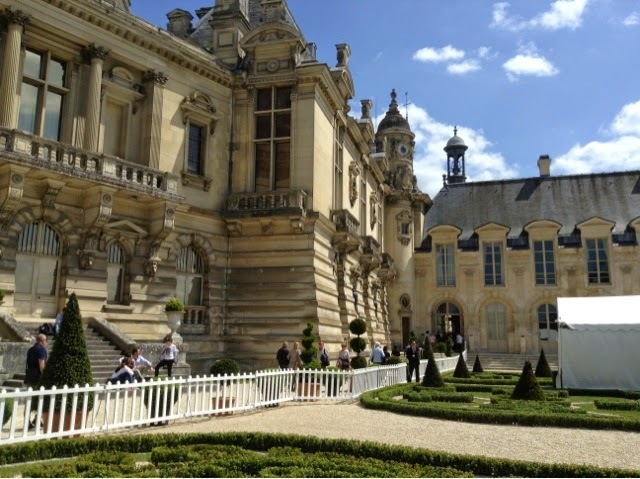 I'm so ready to go back..for a tour in the château <3 and for more chantilly!!! Great manicure! With all the mad rush to get things divided and planted in the garden before the heat strikes, my nails: quelle horreur! that red paisley shawl would look great with your nails and glasses. 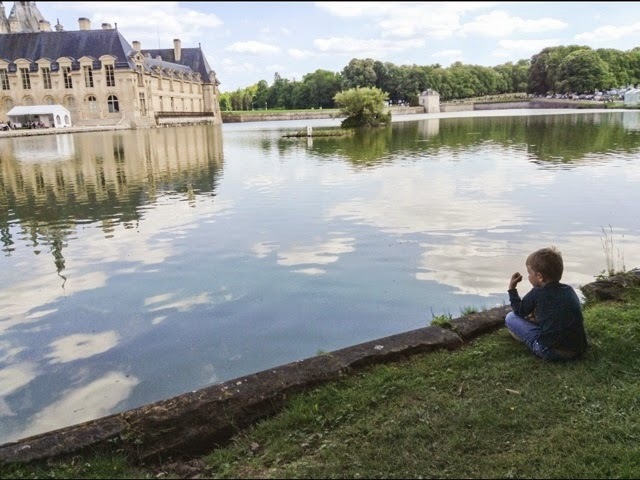 We have visited Chaumont-sur-Loire several times. Its a wonderful display of "garden rooms" each by a different designer.